1. Unlock your Samsung using our USB Cable Service. If this unlocking service is available for your particular device, it will appear as one of the unlocking options once you've selected the country and the original network carrier of your Samsung. 2. 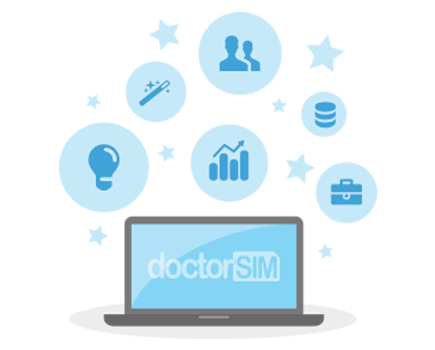 Download and install the drivers and unlocking software sent to you by doctorSIM so that your PC recognizes your phone. A direct access icon will be created on your desktop. 3. Go to Settings on your Samsung -> under About phone, scroll down and then press "Build number" various times until you get a "You are now a developer!" message. 3.1 Return to the previous page and click on "Developer Options". 3.2 Search for and activate "USB debugging". 4. Deactivate all personal pass codes (if you have any) such as the access code to your device including fingerprint, facial or eye-based recognition. 5. Once you have activated the USB debugging mode on your Samsung access the unlocking software using the login information sent to you by email. Follow the steps below to read the files and unlock your device. 6.1. Type in your username and password and press the "Login" button. 6.2. Connect your phone to your PC using a USB cable. IMPORTANT! : Remove your carrier's SIM card while using the software. 6.3. Wait a few seconds and then click "Read Codes". It is normal to receive an error message at some point during the process. Simply press "Read Codes" again and the process will restart from where it paused. The final step "Waiting for SERVER response" can take up to 15 minutes. Please stay patient until the codes appear on the screen. 7. The software will display the unlock code you need to type in to your Samsung below the “Help” button.